In any industry, accurate digital-color rendering is important in communicating color under different illuminated conditions. For the automotive industry, color rendering requires a visual contrast between solid colors and metallic colors. Axalta Coating Systems has led the industry in color R&D as their scientists have pioneered this area over the past 40 years. Today’s methods are growing to expand into the newest pigment and paint technologies as they become available. Now, that technology comes to KeyShot. From glass and liquid to metal and plastic, KeyShot is known for its scientifically accurate materials. The same applies to these Color Collections from Axalta. Through the partnership between Luxion and Axalta, Axalta’s proprietary digital color rendering technologies has been linked with Luxion’s digital object rendering software. The outcome is nothing short of beautifully represented, highly accurate materials for your product visualization. 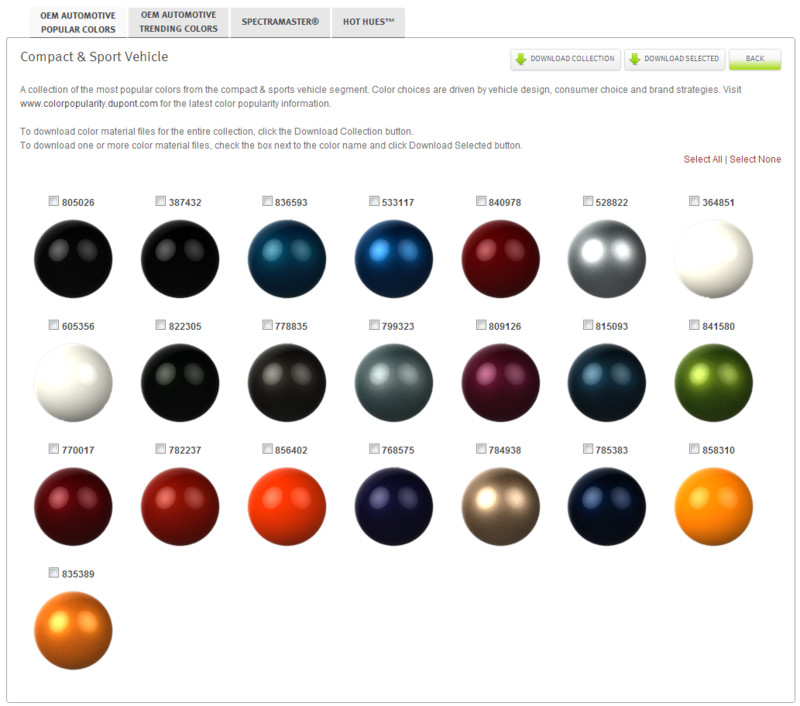 All the Axalta Color Collections are available for immediate download from the Axalta KeyShot materials site. All downloads are completely free. Compatible with KeyShot 3.3 and above. Select the paints you want to use. Download the zip file into the desired location. Move the folder with the materials into the Materials folder inside the KeyShot resources folder. Browse to the Material tab, and located the new folder. Rename the folder, or drag and drop the new paints to a different location. The Axalta Color Collections are currently available for free download from the Axalta KeyShot materials site. To find out more about color libraries inside KeyShot or have a question or comment, simply contact us below.